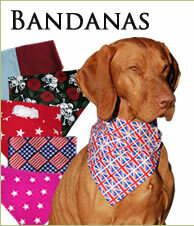 KocoKookie Kreations presents a great range of pet products hand made in Norfolk! 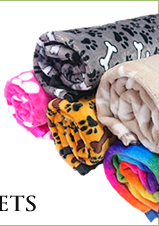 From dog bandanas, dog scarves and our new range of dog bow ties to pet blankets and pet toys for dogs and pet cushions all of which can be purchased right now in our online shop. Check our Events page for details of all the future events we will be exhibiting at. 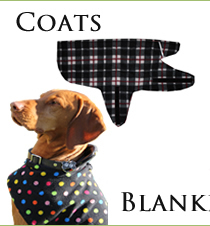 Stylish Dog Coats, take a look at our fantastic new range of Dog Coats, now available online, designed to keep your dog dry whilst giving them that sophisticated look out and about in the country or around town. Our stylish dog coats are lightweight, reversible and designed with a waterproof microfibre and a soft fleece lining available in a fantastic range of designs and colours!! 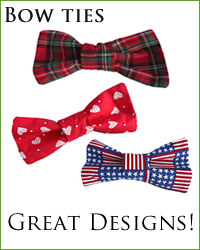 Proudly Made in Britain with love by us, we believe in top quality pet toys, accessories and gifts at pocket friendly prices and have had great fun designing these products for our own dogs and cats - we hope that you'll love our Kreations as much as they do!